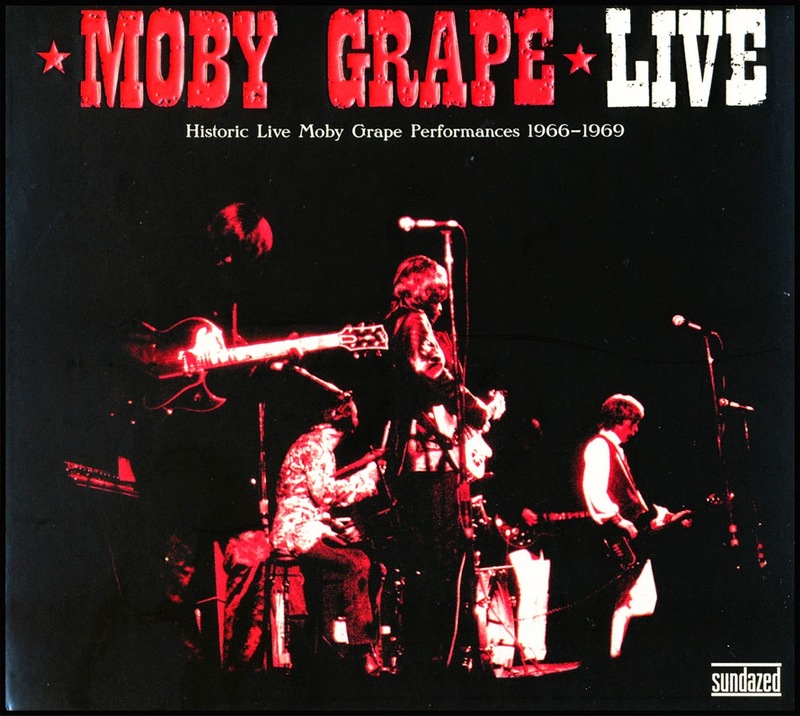 Live by Moby Grape, is the first official collection of concert recordings by the legendary San Francisco band at its blazing late-Sixties peak. At that time, in rock's hippest city, there was no other band like the original Grape: Jerry Miller, Skip Spence, Bob Mosley, Peter Lewis and Don Stevenson. Their Columbia debut LP, Moby Grape, issued in June 1967, is still acclaimed as one of the greatest rock albums ever—a thrilling union of blues, soul, country, surf twang and day-glo garage rock, packed into original killer-pop songwriting. Even as extreme Columbia hype, devastating business hassles and Spence's tragic mental collapse threatened to blow up the band, the Grape continued to make immortal albums, including 1968's Wow and the magnificent Moby Grape '69. But the records told only half of the tale. Moby Grape, in their prime, were also one of the Bay Area's—and America's—best stage bands, like the Beatles and Rolling Stones in one, with a breathtaking triple-guitar attack and stunning vocal harmonies. Live is the long-awaited proof. It features more than an hour of dynamite performances from soundboard and broadcast tapes, including tracks from the Avalon Ballroom in 1967 and the band's complete long-lost set at the Monterey Pop Festival, just a week after Moby Grape came out. There are live versions of the great rare Grape songs "Rounder" and "Looper" and five tracks from a famous Dutch radio show featuring the hard-charging '69 lineup of Miller, Mosley, Lewis and Stevenson. And Live climaxes with the historic first-ever release of Spence's acid-guitar masterpiece "Dark Magic"—never recorded in the studio by the original band but presented here in an epic 17-minute performance at the Avalon, on New Year's Eve 1966. Moby Grape were the hottest band in town that night, with the whole rock & roll world ahead of them. And they sound like it. These four-decade-old recordings have been spectacularly mastered, in you-are-there fidelity, and this album comes with sumptuous packaging and rare photos, in true Sundazed style, plus liner notes by Rolling Stone writer and Moby Grape authority David Fricke. 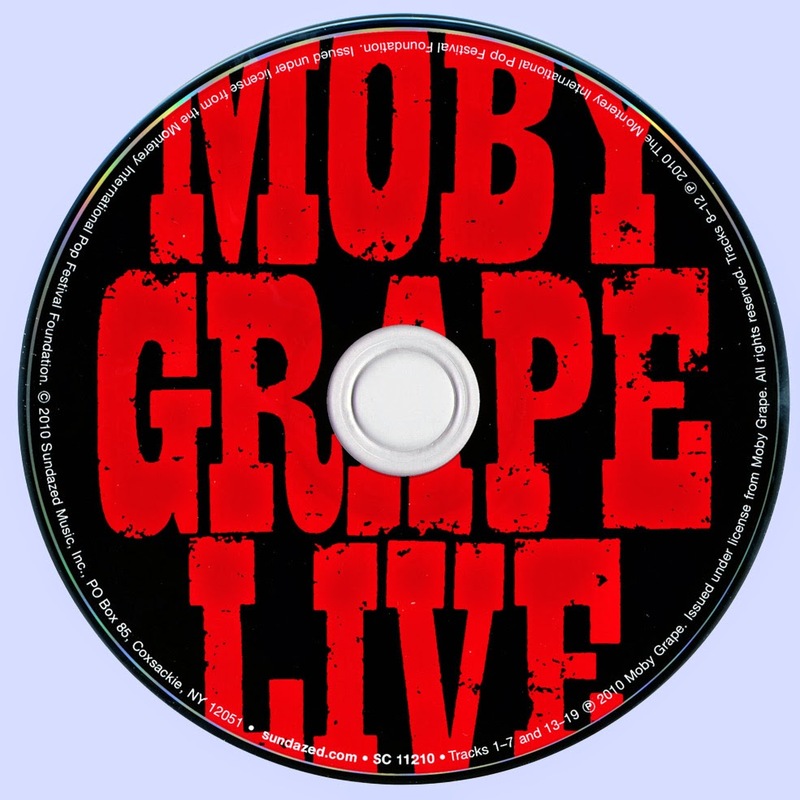 Live presents, at last, the untold part of Moby Grape's incredible story. It is San Francisco psychedelia at its zenith and the best historical rock release of the year. All songs by Alexander "Skip" Spence except where noted.